400 pp. Bucharest: National University of Theatre and Cinematography Press. Translated by Ioana Jucan. Originally published in Romanian by Nemira Publishing House. With apologies to Proust (whose famous title echoes in this new book) theatre is ultimately about space and time. Audiences have known since ancient times that arenas or performance spaces — wide or narrow as they may be — severely limit the “windows” on the actors and through them the lens on which the entire world is shown. Yes, theatre is about people and their lives, but the stories always unfold in defined three dimensional spaces. Halfway between a rigorous academic study and a personal view, this is very much Saiu’s style. A graduate in Theatre Studies of the National University of Theatre and Cinematography in Bucharest, Saiu’s Ph.D. makes him a scholar in the European tradition (a predominantly French tradition among traditionally French-speaking Romanian intellectuals). In fact, Saiu subsequently earned a second Ph.D. in Comparative Literature at the University of Otago in New Zealand, an anglophone and very much “Americanised” locale (with Australia in the landscape as well). The esprit de géometrie of the latter was clearly added to the esprit de finesse of the former to create a simultaneously knowledgeable and attractive style. Originally published in Romanian in 2008 and here translated into English, this book isSaiu’s third on world drama. The first was about Samuel Beckett and was called Simply Beckett; the second was about the Greek Phedre, an ancient woman with a long and fascinating theatrical career. 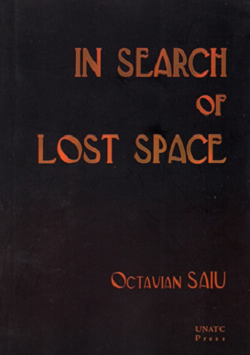 What Saiu provides in all his books is a mixture of academic discipline and journalistic swiftness, rigorous research techniques and spontaneous essayism. The result is a narrative tone which is simultaneously efficient and elegant. So what is In Search of Lost Space? 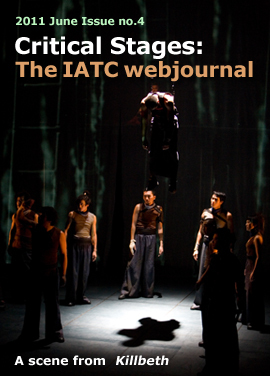 First, it is not an encyclopedic study of theatrical space. He has no intention of putting up an extensive inventory of the ways the stage has been configured as a fictional space throughout the millenia. Rather, he offers up key moments and key hypotheses. This begins with the classical theatres of the Greeks and moves to Romanticism. He takes us through what he calls “The Archeology of Theatrical Space,” “Modernity” and “The Poetics of Theatrical Space” which deals with Brecht, Artaud and the post-War avant-garde, from Grotowski to Peter Brook. — Robert Wilson’s CIVIL warS is about the rejection of “visual centrality in relation to the stage and house.” (256). 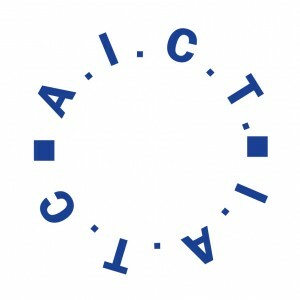 The last section of the book offers insights on the work of three outstanding contemporary Romanian directors who have in the last two decades created original visions of the theatrical space as “reformulations” of modernity’s “quests.” For this, he chooses Victor Ioan Frunza, Silviu Purcarete and Radu Afrim. Saiu’s ability to conceptualize helps here in his rather ingenious characterizations: Frunza’s visions, he says, materialize as “a total polymorphism of the stage” (332); Purcarete strives for “the explosive impetus of the stage volumes” (352); while Afrim produces “a meta-theatricality of space” as “a mixture of different cultural codes paradoxically reunited” (p. 373). Welcoming, rather than hiding, his Romanian background, Saiu offers – here and elsewhere – a promising illustration of the new intellectual cosmpolitanism brought along in recent years by the new culture of globalization. In all, a solid and seductive book by a trustworthy international scholar and theatre critic. 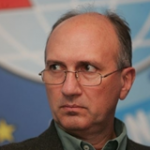 Ion Bogdan Lefter is a Romanian writer, literary critic, cultural and political analyst, professor at the Faculty of Letters at the University of Bucharest.